Researchers randomly assigned 124 patients to receive intravenous paclitaxel with ipatasertib or placebo. 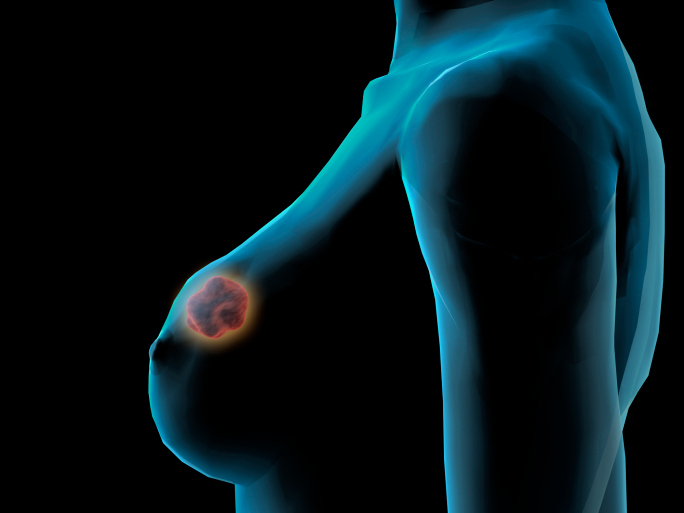 The activity of the PI3K/AKT signaling pathway, which promotes cell survival and growth in cancers, suggests it is a target for therapy in patients with breast cancer. The phase 2 LOTUS trial (ClinicalTrials.gov Identifier: NCT02162719) is the first prospective trial to target AKT in triple-negative breast cancer. Researchers randomly assigned 124 patients to receive intravenous (IV) paclitaxel 80 mg/m2 with ipatasertib 400 mg or placebo. The median follow-up was 10.2 months in the placebo group vs 10.4 months in the ipatasertib group. Patients in the ipatasertib arm had a median PFS of 6.2 months (95% CI, 3.8-9.0) vs 4.9 months (95% CI, 3.6-5.4) among patients in the placebo arm (hazard ratio [HR], 0.60; 95% CI, 0.37-0.98; P = .037). Median PFS in patients with PTEN-low tumors was 6.2 months (95% CI, 3.6-9.1) in the ipatasertib group vs 3.7 months (95% CI, 1.9-7.3) in the placebo group (HR, 0.59; 95% CI, 0.26-1.32; P = .18). The most frequently reported grade 3 or worse adverse events (AEs) in the treatment group vs placebo, respectively, were diarrhea (23% vs 0%), decreased neutrophil count (8% vs 6%), and neutropenia (10% vs 2%). Overall, serious AEs were reported in 28% of patients receiving ipatasertib and 15% of the placebo group.